Tracy Lamond, CFA assists families in every aspect of their financial lives. She provides the most personal service available, thus earning a reputation for excellence in the industry. She understands the integration of lifestyle and investment needs and the effects of life changes on family finances, and strives to help her clients create multi-generational financial stability and security. Tracy applies her extensive knowledge of finance and investing to each client’s unique situation. Over time and through life stages and varying environments, she consistently helps clients to collect, allocate, diversify, manage, grow, protect, enjoy, and pass on their financial assets. 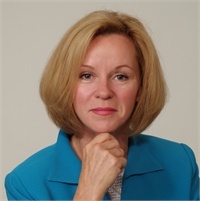 Ms. Lamond has enjoyed a successful career as a stockbroker, a trust officer, and a senior investment advisor with several top Wall St. firms for over 30 years. She received her degree in Finance from UC Berkeley, and sequentially became a Chartered Financial Analyst. Ms. Lamond has been interviewed in financial publications and is a recognized professional in socially responsible and sustainable investing. 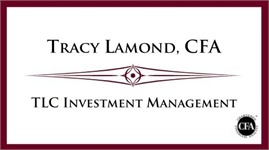 TLC Investment Management is Ms. Lamond’s private practice, supported by the full-service independent brokerage and advisory resources of LPL Financial, where she is a registered principal. Experienced guidance and care are available to clients worldwide through her beautiful Marin county office, where she provides industry-leading investment research and guidance with access to a comprehensive array of financial tools, resources and technology. Tracy Lamond is an experienced professional with a fully integrated approach to financial guidance. Not only will you find her to be knowledgeable and highly intelligent, but you will also discover that she truly cares about making your dreams a reality. As your financial advisor, she will keep you focused on your objectives and advise you on how achieve your goals, with emphasis on the importance of maintaining a consistent and disciplined approach to realizing your goals as they evolve over a lifetime. Tracy Lamond's business is based on the principle that education and understanding of your current financial situation is vital to successfully make prudent decisions concerning your future financial condition. If you have any questions about your current financial situation or wish to schedule an appointment for a consultation, please send her an email, drop a note with the form on this page, or call: (415) 234-6320.